Dr. Jamil Norman has over sixteen years of experience as a registered nurse and twelve years in higher education. 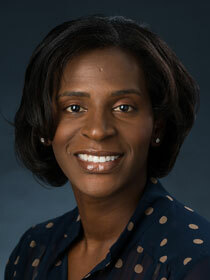 Her areas of expertise include nursing research and women’s health nursing. Dr. Norman earned her BSN at the University of Central Arkansas, her MSN from Grambling State University, and her PhD in Nursing from the University of Texas at Tyler. Dr. Norman is a core faculty member in the RN to BSN Program and teaches Foundations of Nursing Research and Topics in Clinical Nursing. Norman, J. M. (2018). Differences in Learning Outcomes in Simulation: The observer role. Nursing Education in Practice. Norman, J. M., Thompson, S., Missildine, K. (2013). The 2-Minute Drills: Incorporating Simulation into a Large Lecture Format. Clinical Simulation in Nursing. Norman, J. (2012). Systematic Review of the Literature on Simulation. Association of Black Nursing Faculty Journal. Norman, J. (2018). Promoting Health Equity through Engagement of Minority Learners: Strategies for the Online Community. Association of Black Nursing Faculty. Norman, J. M. (2018). Breaking Down the Virtual Wall: Strategies to Enhance the Student Experience.. Walden University: National Faculty Meeting. Norman, J. M. (2018). How to Maximize Video Use in the Online Classroom. Center for Academic Excellence, Faculty Training .